Here at Printmet, our metalwork capabilities are virtually unlimited, which is why were are receiving an increasing number of bespoke commissions, from both our commercial and residential clients. While we often work on projects which offer a set of highly specific guidelines, we are also accustomed to working with clients who require additional guidance and creativity, in order to craft their ideal solution. Whether you’re a professional designer, or simply a homeowner with a great idea, our team will work closely with you, in order to create a unique product which fulfils all of your desired requirements. Over the years, clients have approached us with various levels of inspiration, from the most well-designed and though-out plans, to the most basic prompts and suggestions. Using our experience and knowledge, we have been able to guide these clients throughout each aspect of the project, taking their commission from a simple design concept, to a functional, physical object. If you’re looking for a solution that is completely unique to your needs and expectations, we can provide the skill and vision needed to execute your ideas to the highest possible standard. We don’t just deliver reproductions, but create carefully constructed, bespoke metalwork, with the ability to produce virtually anything that sits within our practical limits. No bespoke design would be complete without a professional finish, which is why we offer the ability to customise your metal work with a diverse array of appearances. In the past, this has ranged from a highly polished metallic finish, to designs which call for a more unique and striking colour scheme, providing you with a greater range of possibilities when planning your project. In addition to our own metalwork capabilities, we are also able to work collaboratively with other production companies and materials, in order to create a completely one-off design, which has been carefully finished to accommodate your additional requirements. In the past, this has included our work on bespoke sign installations, furniture designs and more, providing us with an array of experience in this area. Although we are more than happy to produce bespoke pieces which are heavily led by creative concepts and detailed specifications, we are also able to use our instinct and knowledge to undertake a more influential role, in the design and production of your solution. Using our extensive experience and accommodating approach, we will provide the guidance needed to execute your project in the most appealing and practical way, for an outstanding finish. Bespoke metalwork to transform your office space, with eye-catching designs and functional solutions. If you’re looking to enhance your office space with anything from a practical storage system, to bespoke furnishings, we can provide the skill and ingenuity needed to bring your vision to life. During our years in operation, we have provided a number of unique solutions for both the purpose of enhanced functionality, and aesthetic impact, working closely with businesses to provide fully customised pieces. Transforming outdoor areas with unique furniture and decorative pieces, across both residential and commercial sectors. While we’re often asked to perform custom metal work and repairs for fencing and access systems, we can also provide completely bespoke pieces for use outdoors, serving locations which include residential gardens, public parks and more! Whether you’re looking to create a unique seating area, or even a customised art piece, we are able to employ our fabrication skills to create a tailor-made solution, or even to repurpose an existing item. Providing commercial spaces with impressive entranceways, staircases and more, for a striking first impression. When it comes to commercial spaces, we are able to go beyond the standard solutions, in order to create something truly spectacular and completely unique. 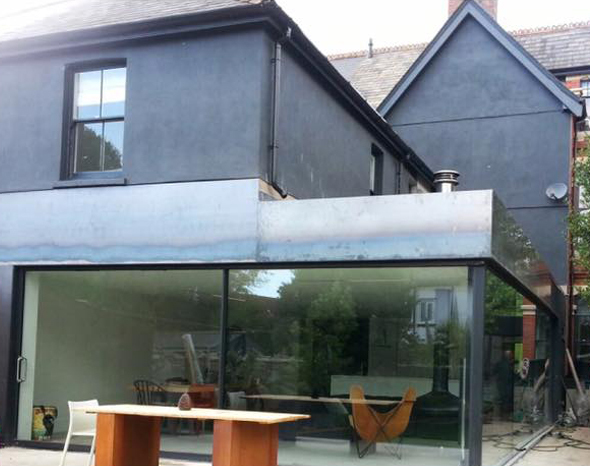 Whether you have a new and interesting idea in mind, or have been inspired by a design you have seen elsewhere, we can work closely with designers and architects, in order to produce an original and distinctive piece of metalwork. In the past, this has included everything from smaller embellishments to larger structural projects, so please don’t hesitate to approach us with your concept.